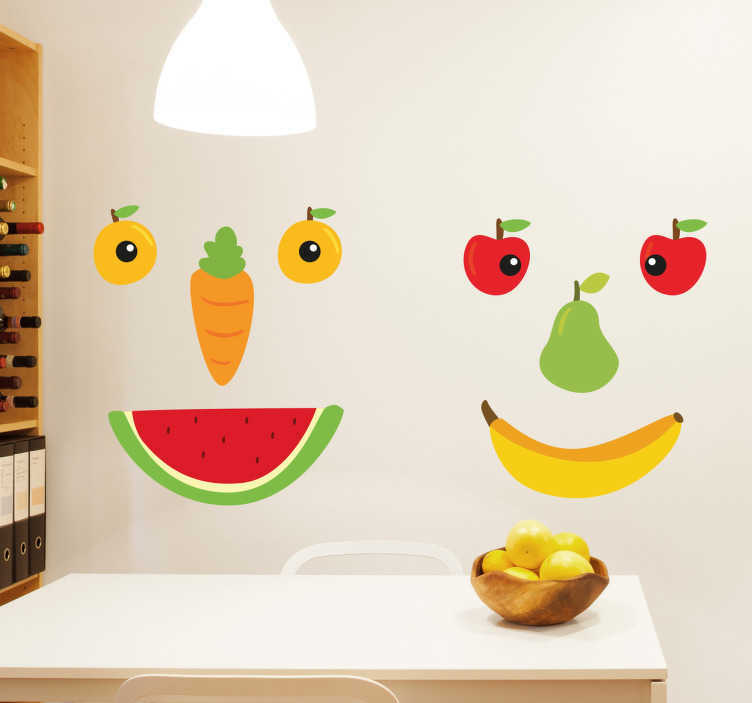 This decorative wall sticker featuring faces made out of various fruits and vegetables is ideal for creating a healthy environment in any kitchen! This vinyl is perfect even for children's bedrooms! Encourage healthy living and a positive mental attitude with these happy foods! This sticker comes in a variety of different sizes and is suitable for any hard surface, including outdoors!